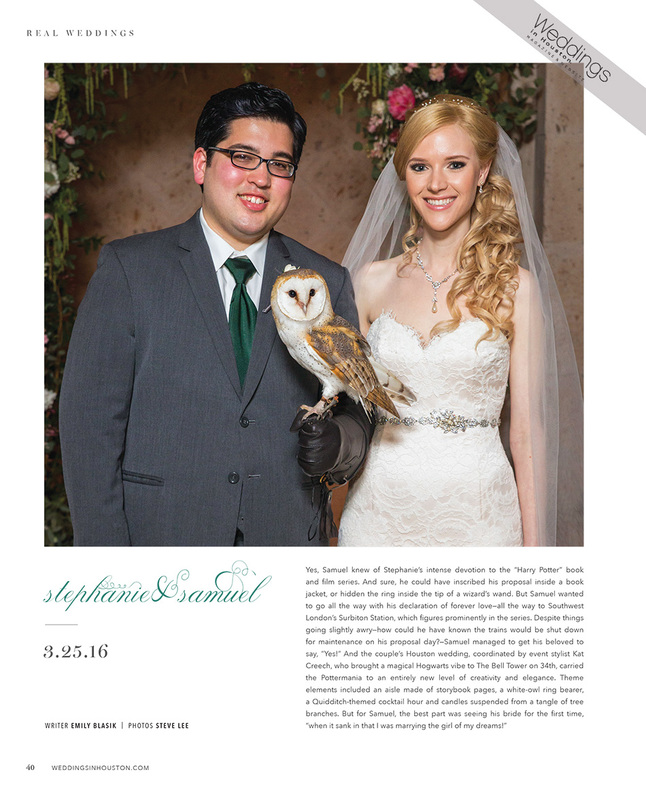 Harry Potter wedding as seen in Weddings in Houston Magazine summer edition has received international acclaim. Every detail designed was epic and perfectly beautiful. 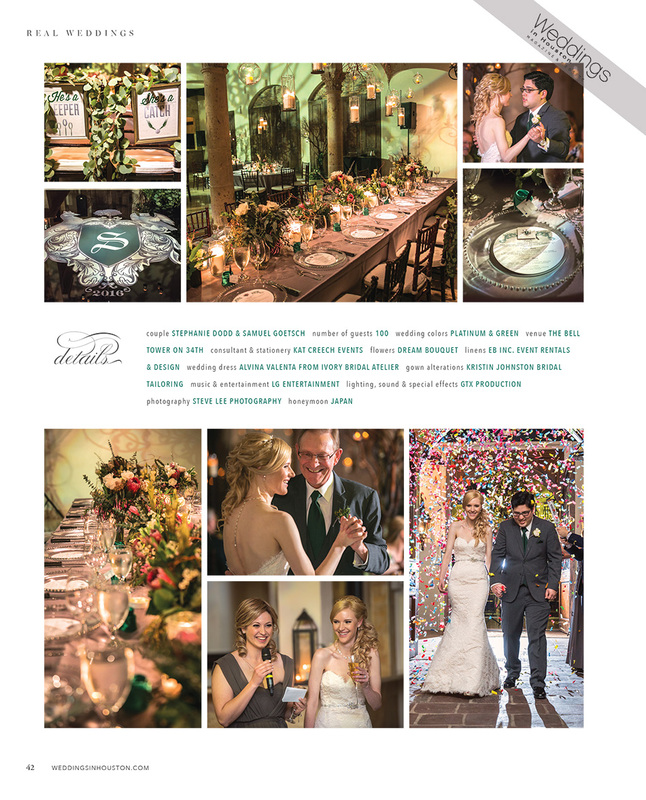 We are beyond thrilled to have Weddings in Houston Magazine showcase this wedding in print to inspire other couples who are looking for a truly stylized wedding story. This wedding adventure was all about celebrating the love of all things Harry Potter, but it was not just a “theme”, it was a common bond which resonated with each of them. This Harry Potter Wedding was about more than just a few chotskies. Each item held a very special story and were strategically placed to capture their love story. 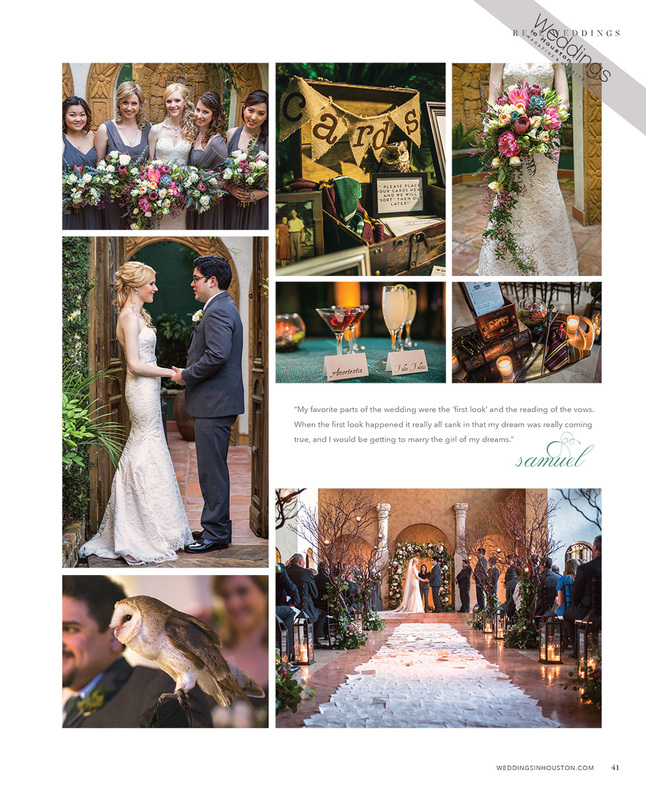 This journey was about transforming and styling an environment to evoke a cohesive feeling of Hogwarts by incorporating the feeling of the Forbidden Forest and the Great Hall. Enjoy the complete wedding story and details here.